With their comfortable breathability and unparalleled softness, Aden and Anais’ collection of Muslin Swaddles are a go-to for bedtime and beyond. Crafted from 100% cotton, each of the four swaddles in the Pretty Pink Set is embellished with a different vibrant design and can be used for a variety of purposes – be it as a swaddle, tummy time blanket, stroller cover, nursing cover, burp cloth or as a changing table cover. Incredibly soft and highly breathable. Each swaddle is printed with a different vibrant design. 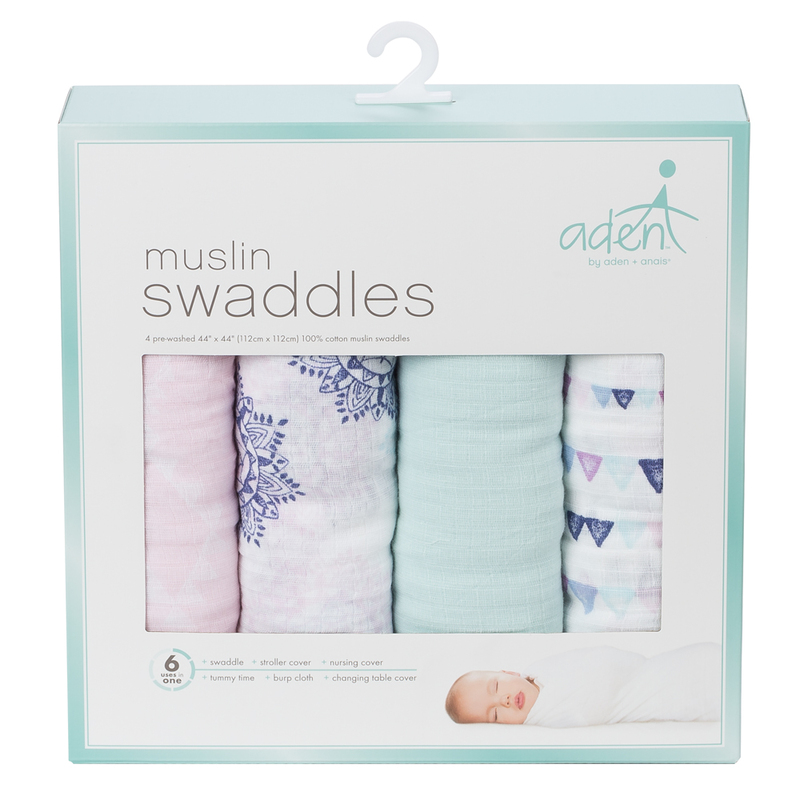 Six uses in one – swaddle, tummy time blanket, stroller cover, nursing cover, burp cloth and changing table cover. Includes instructions on how to properly fold a swaddle. Presented as a set of four in a Aden and Anais box. Dimensions: 112cm (l) x 112cm (w).